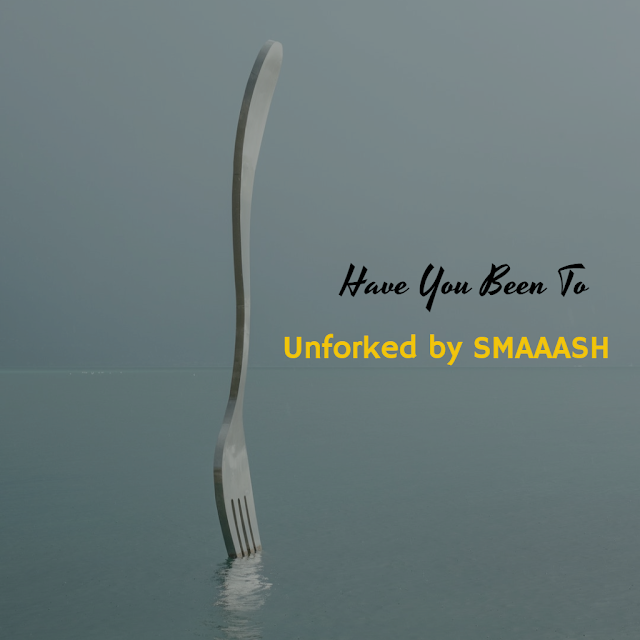 Have You Been To Unforked by SMAAASH? In this blog post, I review Unforked, a new casual dining restaurant in Ambience Mall, Vasant Kunj, Delhi. For the uninitiated, Unforked is brought to you by the same folks who gave you SMAAASH - one of India's most popular gaming and entertainment centers that combines sports, virtual reality, music, and dining into an immersive, evolved, interactive, and innovative social experience for everyone. The brainchild of Shripal Morakhia, Founder and Chief Imagination Officer, SMAAASH endorses 'Make in India' products suitable for a global play. SMAAASH has one of the largest world-class gender and geography neutral portfolio of games, comprising a current repertoire of 15 games (45 games are under development). Last November, SMAAASH launched its new center in Ambience Mall, Vasant Kunj, in the esteemed presence of Sachin Tendulkar, the cricketing legend and master blaster who continues to remain the brand ambassador of SMAAASH since its inception in 2012. Taking into consideration the brand ethos of "Can't Stop Playing", the transformation of bluO into the multi-sensorial experience of SMAAASH is considered by many as a breeze of fresh air. My initial impression of the newly revived 50,000 square feet center is that it is unarguably one of the most premier urban sports centers in the country, with highly advanced virtual reality games like Finger Coaster, Jurassic Park, Walk The Plank, and much more. 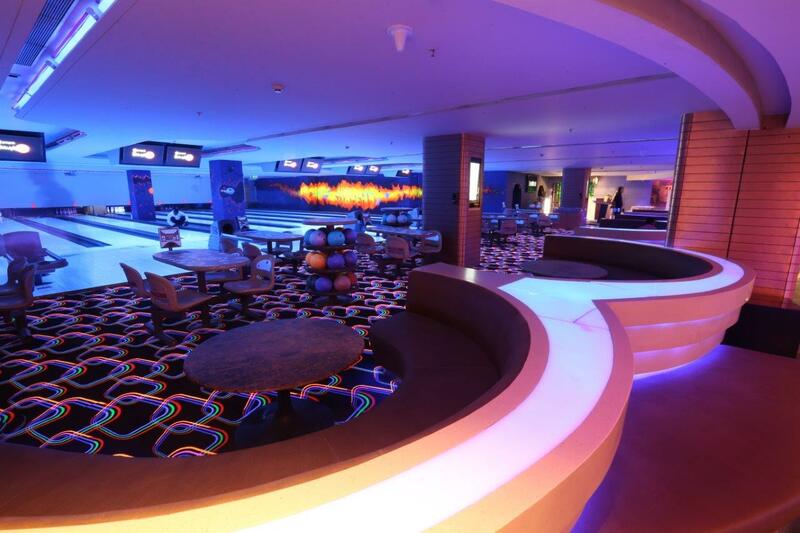 Experience a unique adrenaline rush with the new LaserBlast (a trippy Laser Tag arena for group games) or Twilight Bowling (which boasts of the very romantic and exhilarating UV lit bowling lanes). My personal favorite though is the SMAAASH Cricket - the 360-degree cricket simulator, which is perhaps the only game where you can experience firsthand the exhilaration of facing cricket legends like Sachin Tendulkar, Anil Kumble, Shane Warne, Wasim Akram, Shoaib Akhtar, Lasith Malinga, etc. Coming to Unforked, it is the only in-house café and bar at SMAAASH, where you can enjoy a hearty meal and drinks in between the innumerable fun gaming sessions. The space maintains a vibrant balance between quirky and energizing ambiance yet it has established its own identity as a favorite foodie destination. Expect an array of multi-cuisine dishes bound to tantalize your taste buds. Start with the very own mouth-watering Indian appetizers. And while you're at it, try their Greek Greens, Thai Specialty, Italian Classics, Mexican Bites, and much more. Here are my recommendations at Unforked. Begin your epicurean journey at Unforked with these crispy bell peppers and cheese rolls deep fried and served with sweet chili dip. Who doesn't love the old-fashioned Kolkata style soya base chili chicken ... This one is worth dying for! If you're fond of seafood, in particular, go for these marinated fish deep-fried in beer batter served with mint dip. In the mood of some old-fashioned sizzler? Then go for this flavorful dish that has cottage cheese served with sautéed vegetables, creamy American corn, potato wedges, and noodles. This all-time favorite cocktail is made with vodka, triple sec, cranberry juice, and freshly squeezed lime juice. Try this fun and refreshing cocktail made with vodka, blue curacao, and sour mix. If you have a sweet tooth, go for this hot chocolate brownie served with vanilla ice cream. The wintery Delhi weather calls for this milk fudge dumpling served with dry fruits and rabri. Finally, Unforked is not just a place to unwind with great food and drinks but is hailed as an active entertainment space where you can host and celebrate birthday/kitty/pre-wedding/team building/corporate parties. Their service and kitchen staff is prompt and courteous, making your overall experience a memorable one. It will not be wrong to say that Unforked scores as a perfect 10 for their hospitality and food!